Shane Ross is a proud business owner of Harcourts Ross Realty in Morley WA, along with his three brothers, Paul Ross, Ken Ross and Nigel Ross, who are also owners of the business. Before moving into Real Estate Shane worked extensively in both the Banking Sector and the International Logistics Industry. Shane was born and raised in Bedford WA and attended primary and secondary schools locally. He also has family living in the surrounding suburbs of Morley, Noranda, Bayswater, Dianella and Embleton. 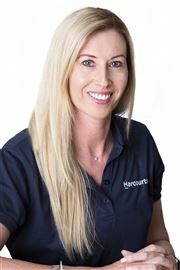 Melanie has recently joined Harcourts Ross Realty as Office Administrator. Having started her Real estate career in 2010 Melanie has filled roles in Reception, PM Assistant and Property Management. In her spare time Mel enjoys working out and spending time with her family and pet pooch. Tyron D’Uva started with Harcourts Ross Realty since the opening of the business in 2016 and is determined to build a legacy within the years to come. Tyron began his real estate career in 2014 and has been in the industry since then, spending his time with a couple of the biggest brands around, including Harcourts, Ray White & Abel McGrath. Throughout these years he has learned and adapted to many different systems and procedures, and has worked alongside with some of the most successful local agents in the industry. Tyron moved into the Leasing Agent role back in November 2017 and has propelled very quickly in this role. He has adapted very well to the changes from Sales to Property Management duties and is continuing to learn and grow each and every day. His excellent work effort, friendly nature and great customer service skills is what makes him a great leasing agent whom is always putting his client’s best interest first. Tyron is gaining vast knowledge & experience so when he is ready to take his game to the next level and start the road into sales, he will understand every aspect of the profession and will ease into the process. Outside of work, Tyron has interests in all kinds of sports, currently playing for the Ballajura Football Club where he has spent all his footy years with and has tasted individual and team success throughout the years. Tyron has many great skills and attributes and is always up to learning new aspects of work and taking criticism on board in order to make him, not just a better worker, but a better person. Danielle joined us with 11 years’ experience in the real estate industry, with a majority of those being within the Harcourts family. She started her career in Real Estate at the age of 17 working firstly as a receptionist and since then been a property manager, Office Manager and her favourite and current role, Sales Administrator. In Danielle’s spare time she loves reading and reviewing books, spending time with her family, friends, partner and her ever growing furbabies. Jovita is currently working as a dynamic key member of Harcourts Ross Realty, working with our administrations and sales teams. She holds a real estate license, has excellent interpersonal and communication skills and builds valuable client relationships. Jovita is a friendly and hard-working individual and is loving her role as Personal Assistant to Cheng Liu. 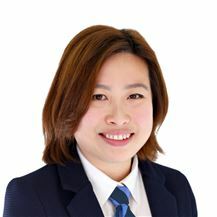 She is determined to expand and develop her knowledge of real estate as well as assisting Cheng in his endeavour to be the top agent in WA. Outside of work, Jovita loves travelling overseas, food and wine, movies, outdoor adventures, socialising with friends and kickboxing. Leonie has a good work ethic, always performs to a high standard, and treats everyone with respect whether they are client or colleague. She currently holds a real estate licence and enjoys her role as Personal Assistant to Paul Ross. She has worked in Customer Service based roles throughout her career and understands the need for good rapport between client and company. Leonie is the mother to two beautiful children and she applies the same time management and organizational skills to her home life as she does to her work. Dream Home in Top Location!! Land bank for your future Now! The Best Views in Bayswater!! A Rare Find... Money Maker!! Happy Family - Happy Life! Titles are Issued - Rare Land! NEW Price!! Owner Says SELL!! PRICE CUT!! Owner says sell! !